1. Place the potatoes and salt in a pot and fill the pot with cold water until the potatoes are covered. Bring to a boil over high heat, then bring the heat down to low and simmer for 15-20 minutes or until a fork easily pierces the potatoes. Drain the water from the potatoes. 2. Place the butter in a small saucepan over low heat and brown the butter. The butter will foam for a bit before calming down. When the butter turns to a light amber color watch for it to turn to a nutty brown (this can happen very quickly). Immediately take off heat. Add the chopped sage to the butter (it may cause some foaming). Pour over the potatoes. 3. Add the chevre or cream cheese, the milk, and salt and pepper to taste. Mash the potatoes with a potato masher until smooth and all ingredients are well incorporated. At this point, I also like to blend the potatoes with an immersion/stick blender to get them very smooth and creamy. 4. 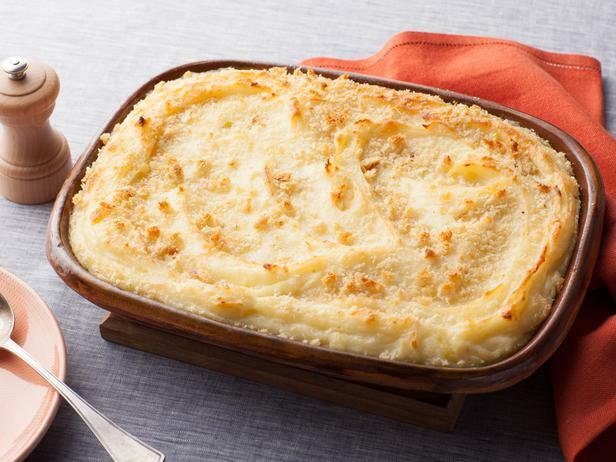 You can serve the mashed potatoes immediately at this point, or transfer them to a buttered glass baking dish, sprinkle with a few teaspoons of grated parmesan, and bake in a 400F oven for 20 minutes, until the top is golden brown.